The Urban Concept is the smallest vehicle so far in a range of eco-focused models that make up Audi's e-tron sub brand. 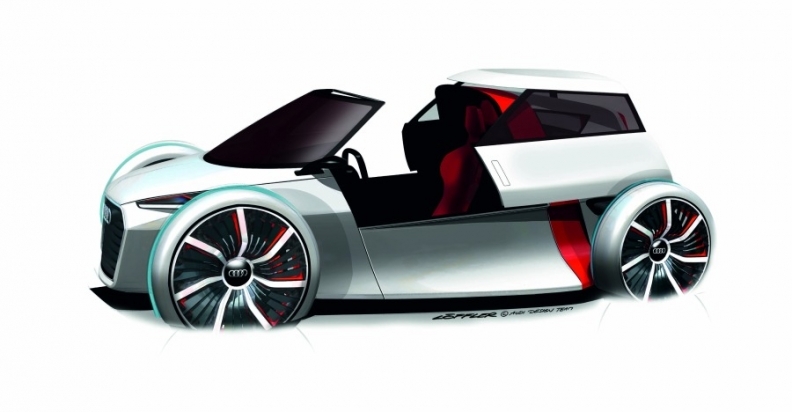 FRANKFURT -- Audi has revealed details of an electric city car that will debut at next month's IAA in Frankfurt. The automaker says the concept, a 1+1 seat vehicle, is intended to show a car that could be driven in congested urban spaces. Audi said it focused on lightweight construction for the concept, using weight-saving carbon fiber reinforced polymer. The car is not based on any previous Audi model. The concept has the distinctive Audi grille and free standing 21-inch wheels. The study is the latest in a line of e-tron vehicles from the automaker that includes the A1 e-tron and a top-of-the-range R8-based EV. The concept is driven by two electric motors powered by a lithium-ion battery.